Expressiveness and clarity in form through conscious, demanding, rhythmic explorations. 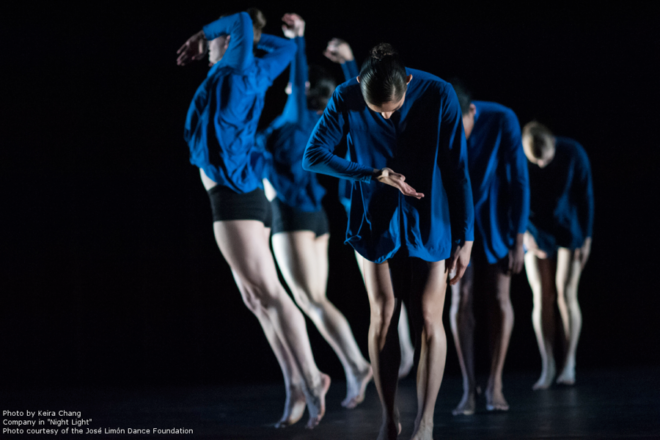 Join Limón at Gibney Dance Center for a week of contemporary and classic Limón technique and repertory sessions. 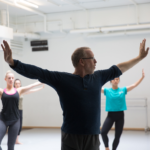 The Limón School at Gibney Dance Center: Limón classes led by a faculty of current and former members of the Limón Dance Company and artists affiliated with the Limón aesthetic. All classes are accompanied by live music. Limón training provides an organic approach to movement that can serve dancers of various backgrounds, with an emphasis on the natural rhythms of fall and recovery, a conscious use of breath, and the interplay between weight and weightlessness. Colin Connor, born in London, England, is the fifth Artistic Director in the Limón Foundation’s 70 year history. Mr. Connor began dancing in Canada and was a soloist with the Limón Dance Company for eight years, guest performed with several other companies, and toured extensively with his own work. He has always been committed to the idea that dancers are creative artists and that dancing is the act of drawing from a large range of influences, musical, literary, sensory, social and scientific, to bring attention back to the visceral communicative power of the human body. Mr. Connor’s over fifty choreographic commissions span the worlds of contemporary, ballet and flamenco companies, and his works have been presented at numerous venues across the Americas and Europe. As an educator, Mr. Connor has been on the faculties of The Juilliard School, New York University, and the City College of New York. For fourteen years he was full-time faculty at the California Institute of the Arts where he served as Director of Student Professional Development. Colin Conner photo by Scott Shaw.